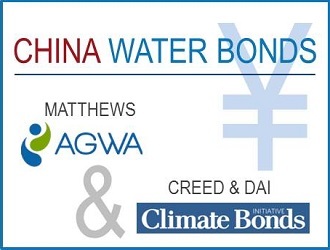 John H. Matthews is the Secretariat Coordinator for the Alliance for Global Water Adaptation (AGWA), which is hosted by the Stockholm International Water Institute (SIWI) and the World Bank. His work integrates climate change adaptation policy and science into practical implementation for sustainable resource management, infrastructure operations, and economic development. John has worked on five continents and some 20 countries. Current projects include coordinating the technical team for creating standards for water projects that are financed as so-called "green" or climate bonds, and acting as the lead editor for a 12-author publication designed to support the mainstreaming of climate adaptation into water management and planning due to publish in late 2015. He has authored or co-authored recent books, papers, and reports on decision-making frameworks for adapting water infrastructure and ecosystems to climate impacts, resilient approaches to environmental flows, integrating ecological and engineering approaches to robust water management, and using new economic tools to support long-term sustainable planning. He has an ongoing research program funded by the US Geological Survey, as well as a US NSF grant to merge ecological and engineering approaches to water management. He is a Water Fellow at Colorado State University. Previously, John directed the global WWF freshwater climate adaptation program for four years and the Freshwater Climate Change program at Conservation International for four years. He has PhD in ecology from the University of Texas. He lives in Corvallis, Oregon, where he enjoys trail running, timber framing, and finding wild mushrooms.